In celebration of the upcoming holiday, I will be hosting an in-game costume contest! Dress up your Minecraft character for a chance to win prizes! Everyone is invited (and encouraged) to take part in this community event. It’s time to get into the spirit of Halloween! Contest starts on server release and runs until Wednesday, October 31st at 12pm EST. Winners will be announced on the 1st of November. 1). No profanity/overtly violent/adult-themed costumes. 2). Each player can only enter once. 3). Skin must be unique to the contest. Copied designs/templates will be disqualified. 4). All entries MUST be submitted in the comments section of this thread only. 1). Create/Download a unique skin that has not already been submitted. 2). Upload your skin to https://minecraft.net/en-us/profile/skin. 3). Take a screenshot of your minecraft costume/skin on Play-Mc. 4). Comment on this thread with your in-game name, costume design, and screenshot. 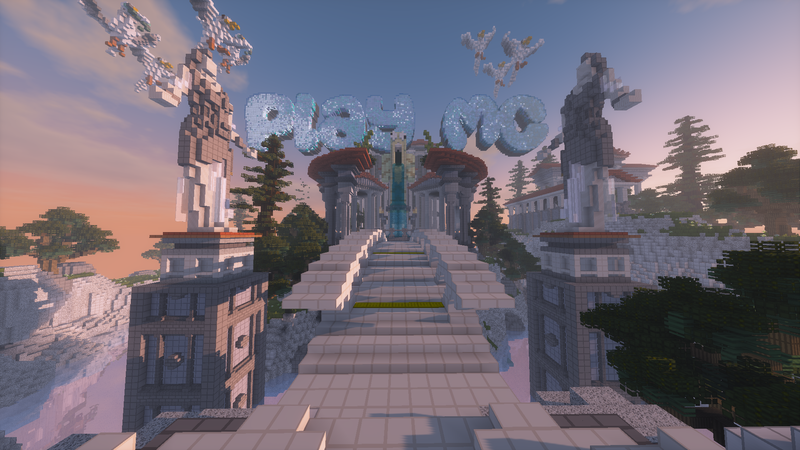 The long awaited release of Play-MC is finally over, the server will be released to the public on October 13th at 4pm EST! Here's a few sneak peaks for what to be looking forward to! Before i get into the details of F-TOP, i just want to clarify some important information what you will need! There will be a one week grace period so you can get your base and gear up! The End will be flat whereas the nether won’t be. Please follow our discord at: https://discord.gg/rttEUy for more information regarding corner claims and various server announcements. Thank you! We will be running a factions top prize what will be paid at the end of the map.